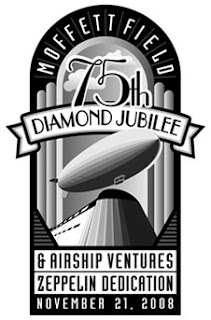 This Friday NASA Ames and Airship Ventures are holding a combined Moffett Field Diamond Jubilee (75th Anniversary) and Airship Ventures Zeppelin naming ceremony. In addition to revealing the name of the ship, we will also be announcing the winner of the "guess the name" contest we held. We're really looking forward to it -- we hope to see many of you there!